Valentine’s month is the perfect time to reset your kindness button and share some simple activities to promote kindness. 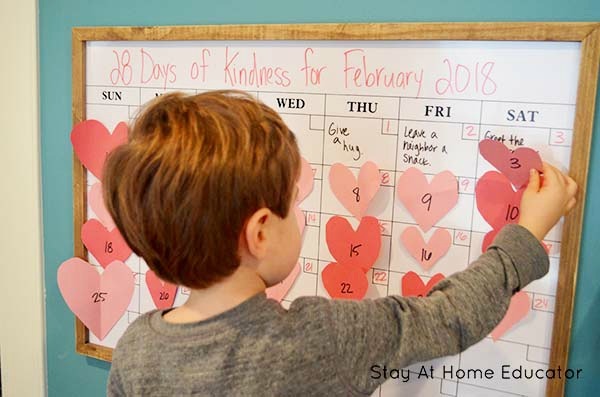 These quick and easy preschool kindness activities are for your preschooler to implement each day in February. And, bonus, there’s a free printable at the end of this post to help you stay accountable for those small acts of kindness. As an adult, I can vividly remember times I was told that I was not good enough, liked enough, or thin enough. Even sadder is I can equally remember times I was unkind as a result of feeling rejected. However, I can also remember the feeling of being a helper. Seeing a surprise package on my doorstep from a friend. And circling back to a situation to ask for forgiveness. Guess which feeling calms my soul and has me craving more? Let’s do the same for our preschoolers. How about guiding our children with simple ideas and activities to promote kindness? We can be the role models and encourage kindness to become an instinct. 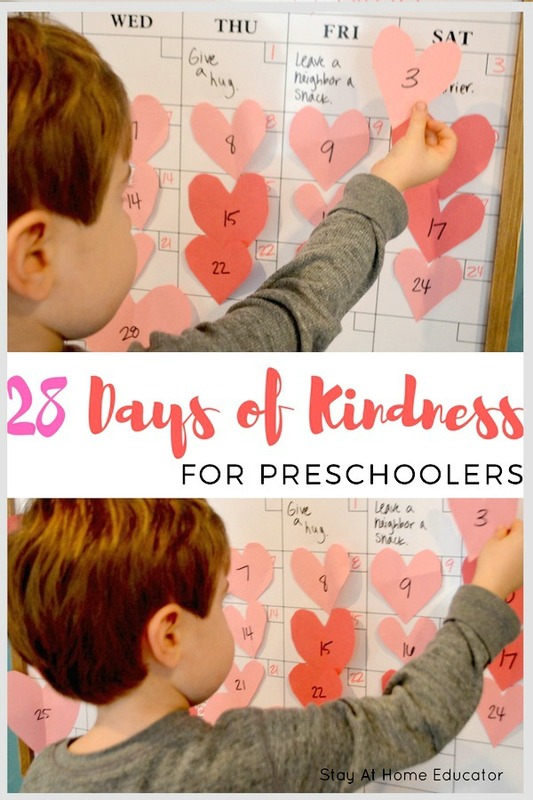 These 28 Preschool Kindness Activities Will Last a Lifetime! These ideas, such as greet your mail carrier, are simple and age-appropriate for preschoolers. You can also find a great list of ideas on our Alphabet Activity cards, specifically Kk is for Kindness. First, begin choosing your 28 Acts of Kindness. Leave a snack on your neighbor’s doorstep. Greet the mail carrier and say hello. Mail a card to a friend. Paint rainbow rocks to hide for people to find at a public park. Write a letter/draw a picture for your local firefighters. Sweep or shovel your neighbor’s walkway. Tell someone close to you that you love them. Draw them a picture. 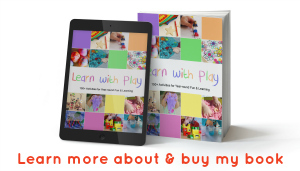 Tell your preschooler thank you. They will follow your lead. Bake a treat for a friend. Allow your preschooler to listen to you tell the grocery attendant you appreciate their help. Invite a friend over for a popcorn party. Bring your teacher a hot coffee/tea. Teach a grandparent or friend this simple pom pom game. Pass along a Starbucks gift card. Donate a toy to local GoodWill. Donate a pair of new pajamas to a shelter. Allow your preschooler to overhear you telling someone why and how you are proud of their efforts. Bring a bag of coffee for the school office staff. Create a Valentine decoration using items you may already own. Bring to someone you know. Say hello to five different people today. Bring dirty dishes to the sink. Wipe down the table after a family meal. Visit pets at a local pet shop. Compliment a friend or family member. Leave a thank you note or Valentine craft with the cashier after checking out. Next, write one act of kindness on each day in the month of February. You’ll want to write these out on the calendar itself. 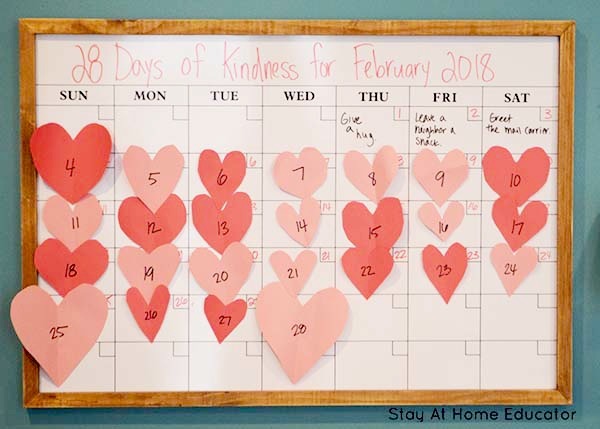 Finally, cut out 28 hearts and place them to cover the 28 preschool kindness activities (aka days of February). You may also want to write the acts of kindness on the back of each heart, or you can use the printable at the end of this post. Just be sure to order the hearts and add the days of the month when you put them on the calendar. (If you want to skip the printable, you can also use a Cricut or Silhouette machine to cut out the hearts). These 28 Acts of Kindness are So Simple! Now you have your calendar set and ready. Begin to complete the acts of kindness each day. Stay consistent and try to read ideas at the start of each day. That’s why it’s best to have the hearts on a calendar. You can easily integrate it into your morning routine. As a result, you are now putting small ideas into your preschooler’s head for future acts of kindness. I can promise you, your preschooler will love these small acts of kindness. Remember, sometimes what our preschoolers can offer may seem small and insignificant to you, to an adult. But preschoolers have giant, generous and friendly hearts, so these acts of kindness are meaningful to them! Do you have a favorite way to promote kindness with your preschoolers? I would love to hear what you do! Want the FREE Preschool Kindness Activities Printable? Here it is! Just click the image below. 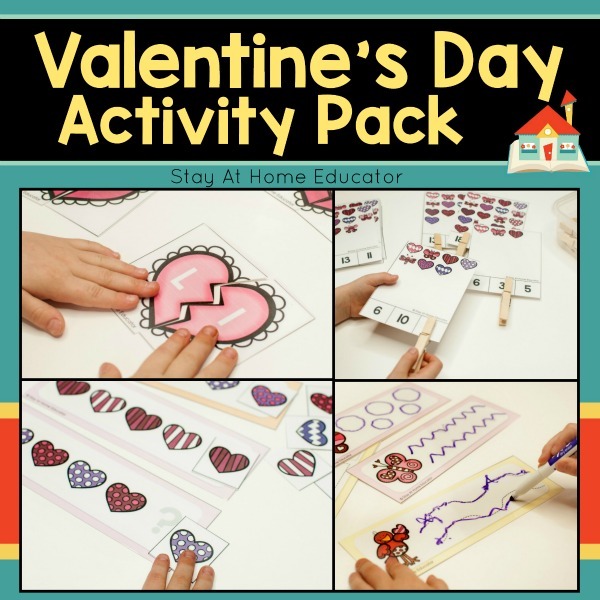 Want more printable Valentine’s Activities? 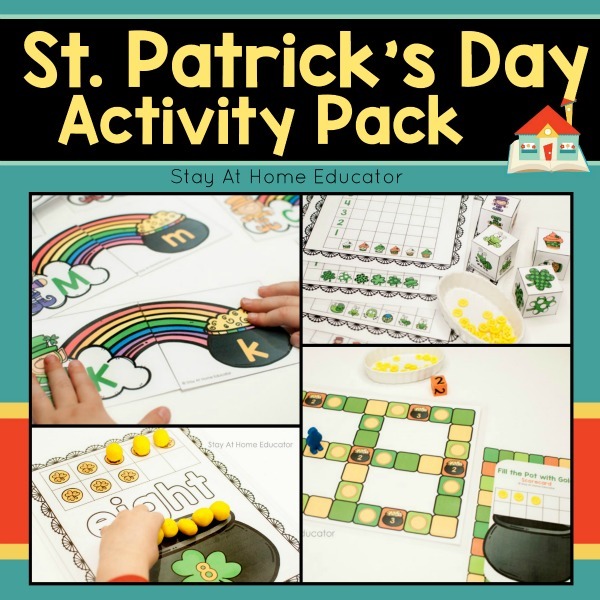 You might also like these activity packs! Click on the images below for more details. In 2001, Beth began teaching. Beth loved being an educator. Now that she’s a parent, She loves being a mom. 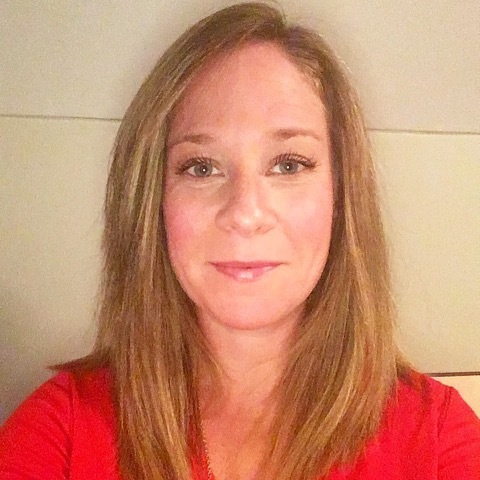 Beth thrives on staying motivated and is confident her experience with education can inspire. 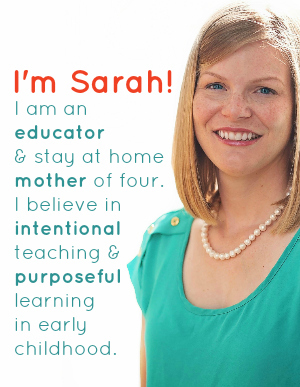 Her goal is to help us all (including herself) find the balance between preschool education, and keep preschoolers busy. – Because we all know, mom needs a minute too! 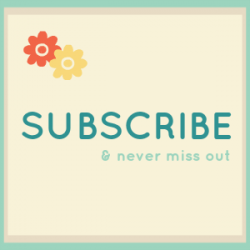 Join her as she merges motherhood with preschool education, fitness, and a hint of design at her blog, Days with Grey. Such a lovely idea! I’m always looking for ways to instill kindness n the classroom.